Electroplated diamond Core Drill is widely used in stone drilling. We adopt grade natural diamond, with precision electroplated technology, it can quickly make hole on granite, marble, glass and other stone materials and well improve the efficient. It's assure for the smooth surface, no chipping and will not be chatter when used. 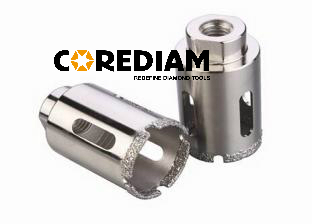 The electroplated dill bit can use both wet and dry environment , the goods can get effective result at anywhere you need to use diamond core drill. Usage:Drilling granite, marble and other natural stones. 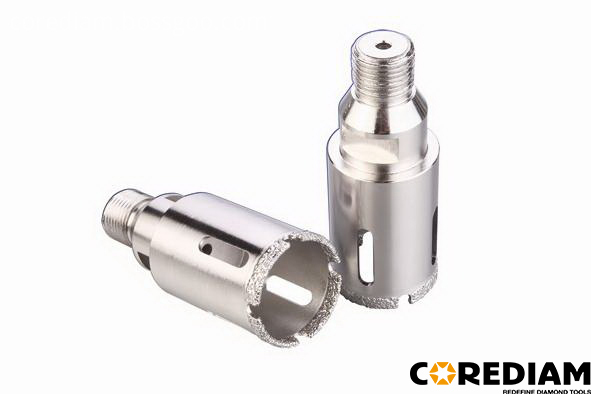 Looking for ideal Electroplated Core Drill Manufacturer & supplier ? We have a wide selection at great prices to help you get creative. All the Electroplated Stone Core Drill are quality guaranteed. We are China Origin Factory of Electroplated Diamond Stone Hole Saw. If you have any question, please feel free to contact us.